Posted on 10 March 2017. The St. Patrick’s week of activities will kick off tonight, after Market Day, with the continued promise of the Festival Committee, that it will continue to celebrate and preserve the islands unique cultural heritage. There will be National Service at the Lookout Roman Catholic Church remembering St. Patrick its patron Saint after whom the church is named. It is a packed week of events to include, such as the calypso soca monarch competition will form part of the festivities, so too will be the Junior calypso competition as well beauty pageants show. Much is said of the beginnings of the Festival and the holiday; how it evolved and grew to what it has become today; how perhaps it is misused and marketed for economic benefit to the island. Some of the arguments deserve discussion, but some attempt should also be made to get the facts first into perspective. Have they even got close as to how the day got noticed, as it began out of the Roman Catholic annual celebration of the church on Montserrat’s patron saint St. Patrick? Even when they quote Sir Howard’s historical account, there is little mention of that important fact. The controversy is usually centered around the ‘Irish connection/Irish heritage) and the African/slave heritage and the March 17, 1768 slave uprising. But, why the celebrations of St. Patrick’s Day? 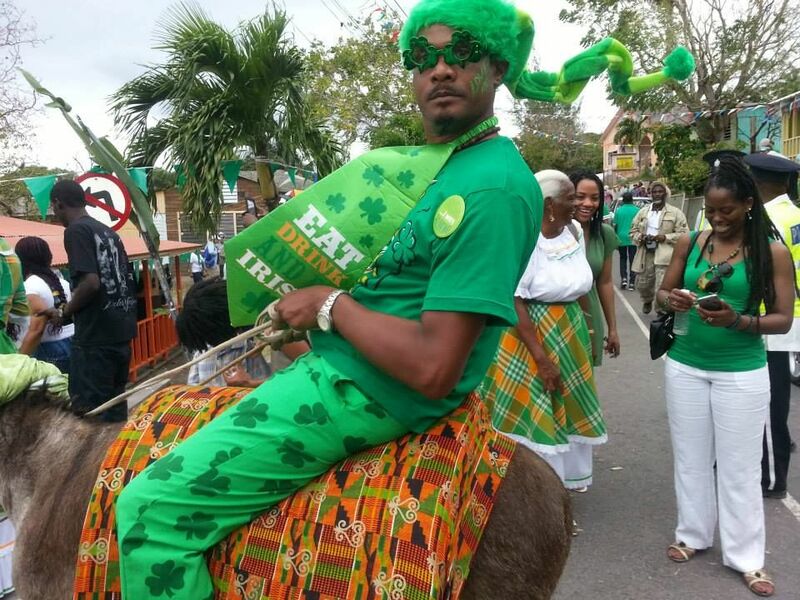 It is gradually losing its origin – the feast day of St. Patrick; and we hear less and less of: “the Irish people exiled by Cromwell, and African slaves who arrived on Montserrat…… the failed slave uprising on March 17, 1768,” which led to the celebration of St Patrick’s Day. All of these happenings from nearly three centuries ago were from corruptible minds and acts to those who ratted on those seeking freedom, stolen from them. The history of what went on then does not make good reading, but should be taught and discussed. All can learn the root of the sufferings. Remember those behind it all are today at the head of it all. Even when it appears that action is being taken to repair the damage, those actions are just as corrupt. When the celebrations take place it should be noted who St. Patrick was and what he stood for. Montserrat was colonised by the British and Irish in 1632. France later held it briefly, but from 1783 it remained British. Its colonial economy was based on cotton and sugar plantations that used African slave labour, and the story goes on. YESTERDAY: Sen. Kirsten Gillibrand, who is running for the Democratic presidential nomination, campaigned in Des Moines, IA.